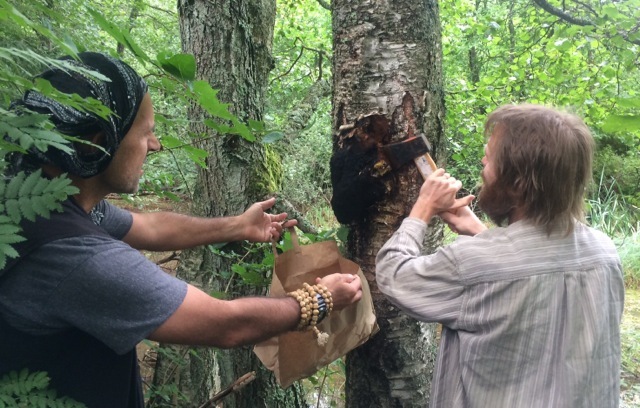 In a joint venture with Essential Living, we were fortunate to have the opportunity to harvest some wild Chaga in the Baltic Birch forests this summer. 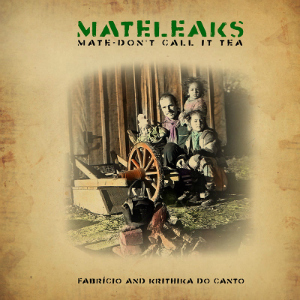 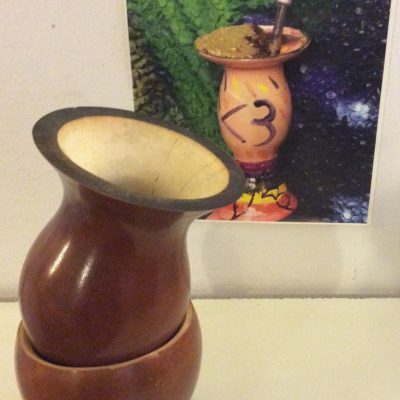 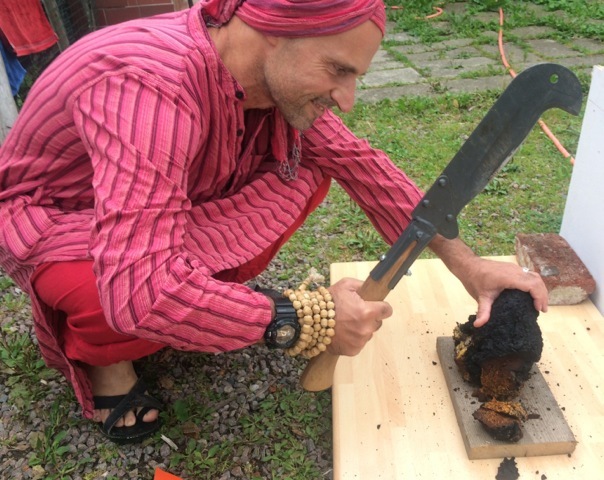 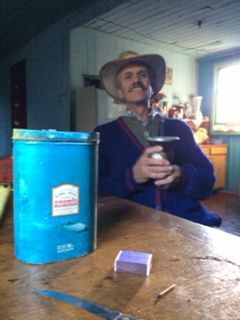 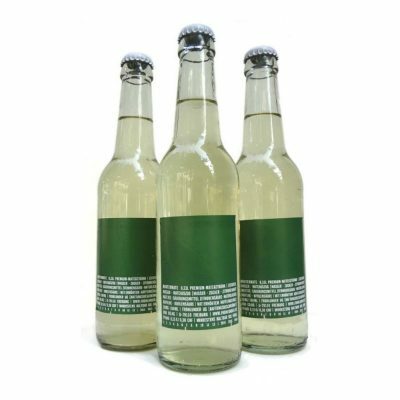 Swedish Meta Matero, Kevala, shared with us the wonders of a healing herb (actually a mushroom) from his region. 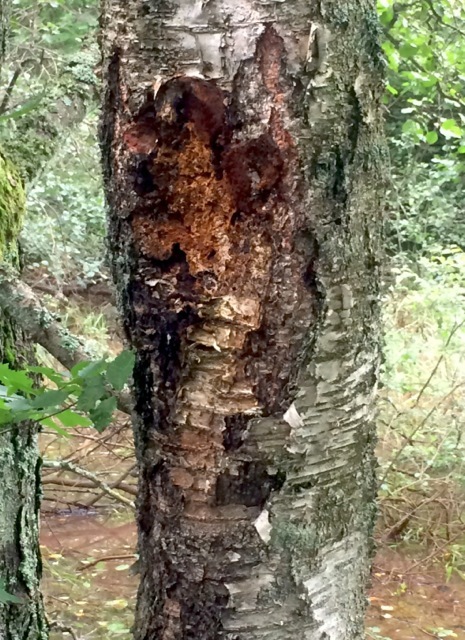 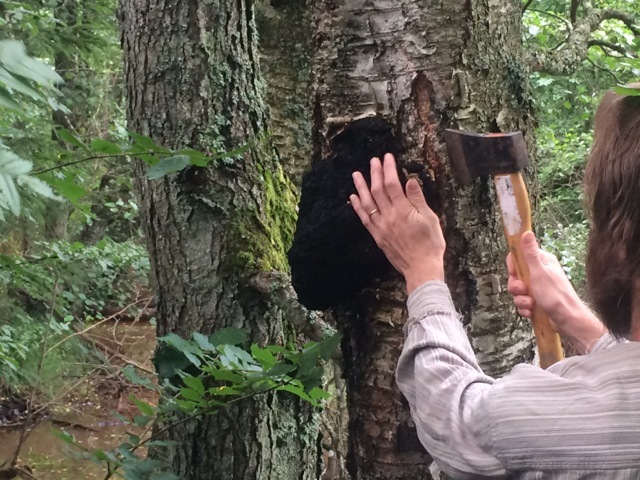 Chaga (Inonotus obliquus) is a hard fungi that grows principally on birch trees, it is rare to spot and harvesting should always be done with respect to not harm the tree that it grows on. 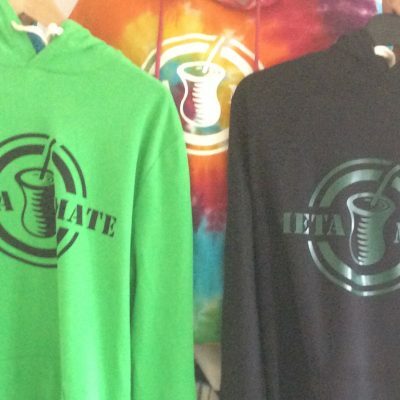 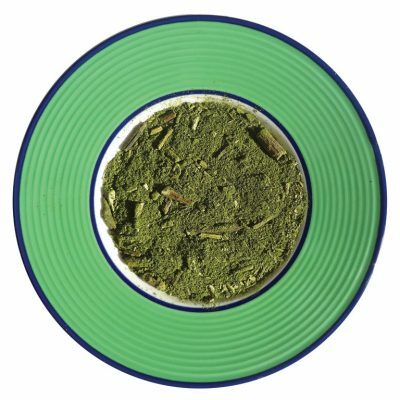 It has been known in Eastern medicine since centuries as a powerful immune booster. 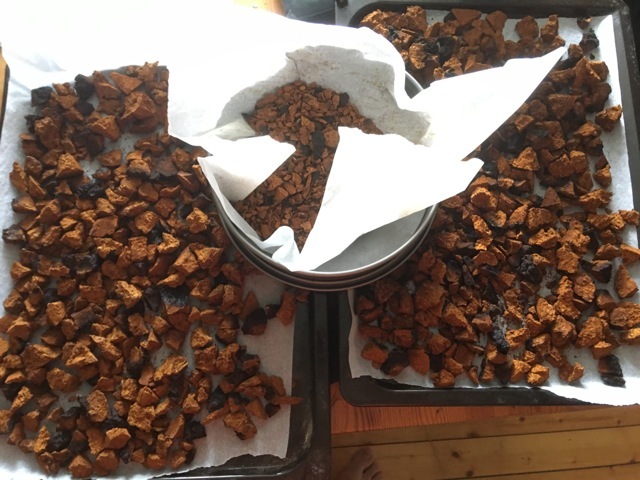 From the 2.2kg piece of chaga that we harvested, we were left with 800g after throughly drying it in a three day process and brought back 400g of this season’s harvest. 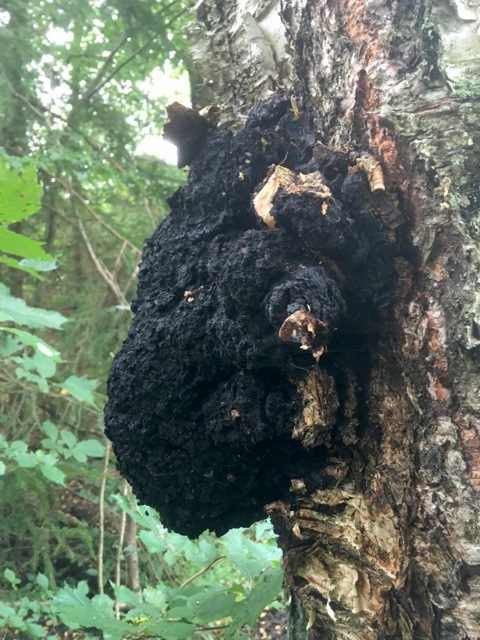 Kevala spotted this chaga while wandering in the forest some time back and was waiting for a special moment to harvest it, we were fortunate to be there. 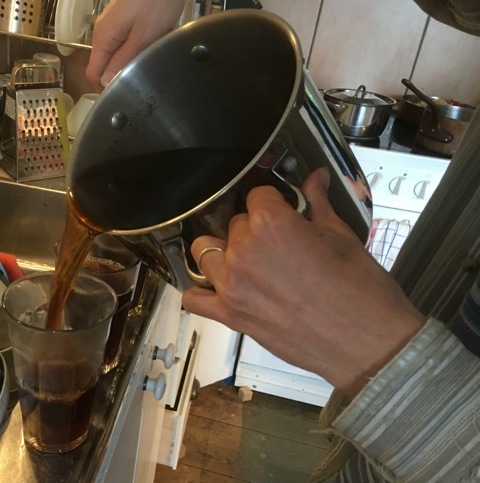 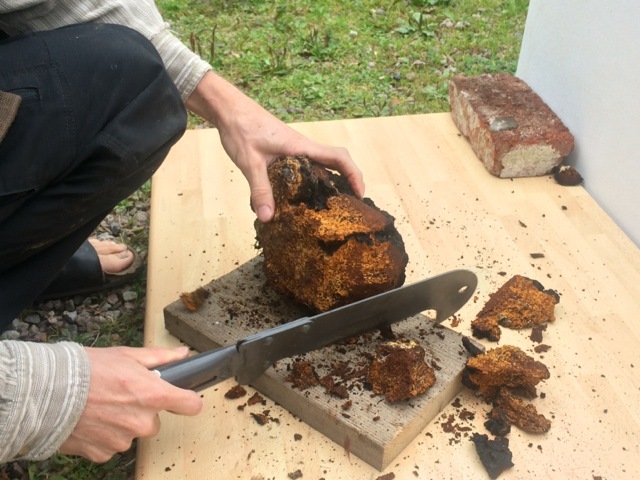 As it had rained heavily the night before, the Chaga was moist and easy to chop up into smaller pieces over a few hours time. 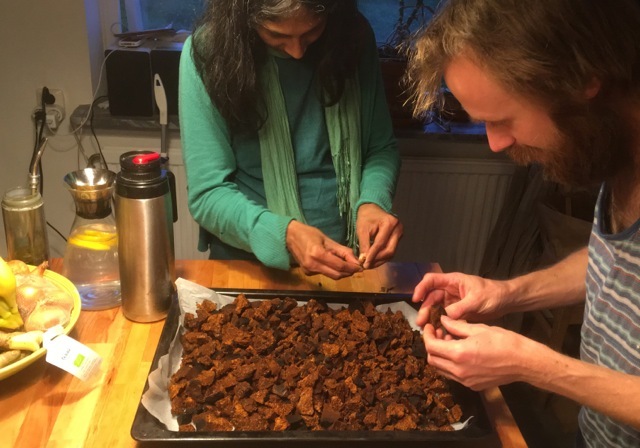 And yes, we did take a pause to enjoy some mates while doing so and cooked up a few pieces of the fresh harvest to keep us energized during the weekend of processing. 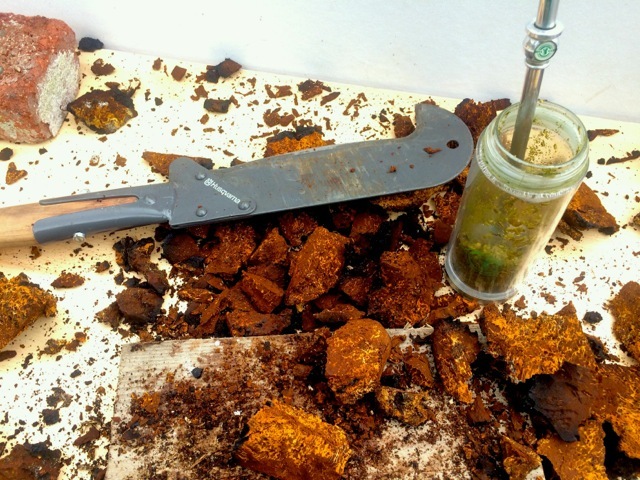 We sorted through the chaga pieces several times, screening each piece carefully. 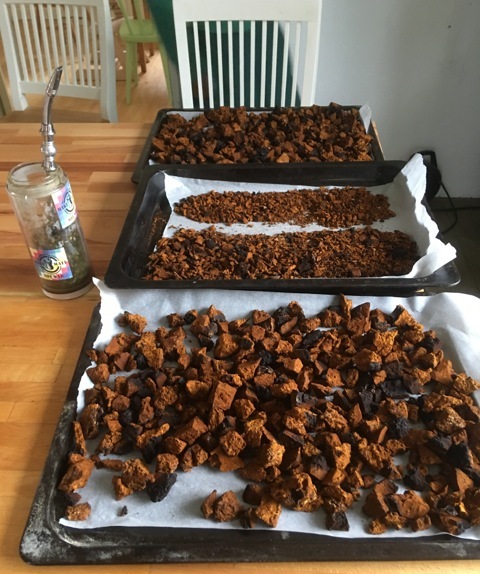 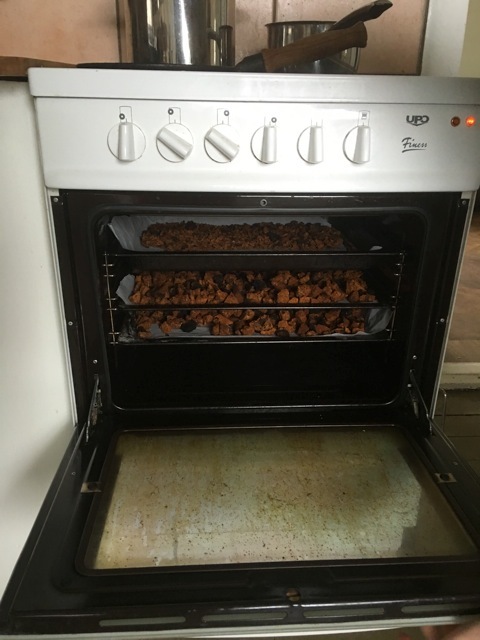 The next morning the Chaga was dried in the oven over a few hours time and then afterwards next to a heater, it lost more than half of its weight in this drying process, however, it is now thoroughly dry and ready to enjoy. 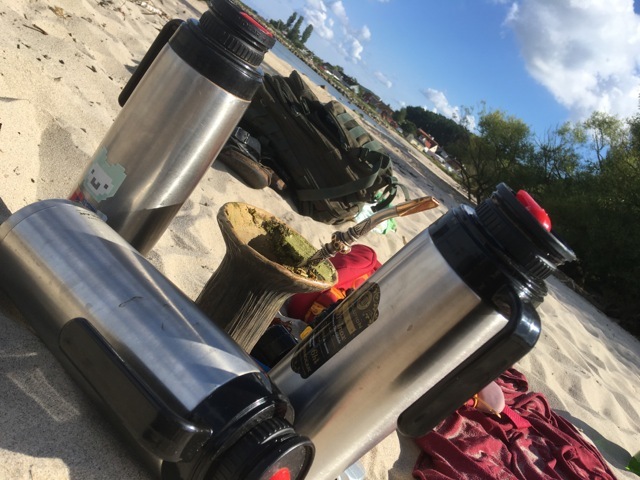 And yes, over the course of the weekend we did also take the time to enjoy some great mates and the Swedish scenery, sun and sand.